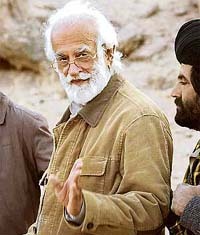 File photo of Bugti tribal leader Nawab Akbar Khan Bugti. From the banks of Budda Nullah at Badi Haibowal, you witness something utterly grotesque. Low on water and shockingly high on untreated domestic and industrial sewage, the once-hardy Nullah has ceased to flow at this point and on several others along the 9-km stretch for which it passes through the city limits. 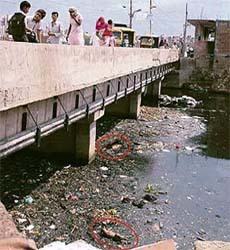 A view of Budda Nullah at Badi Haibowal in Ludhiana: Once the lifeline of the city, the nullah now carries heavy loads of lethal inorganic and organic compounds, even animal remains (circled), before joining the Sutlej near Mainiewal, 25 km from Ludhiana. They are our link to the country’s glorious past. But, this link is in the danger of being snapped. For, over 250 Centrally protected monuments, all under the control and protection of the Archaeological Survey of India, continue to be under the illegal encroachment of unscrupulous elements. After the hue and cry raised by the Akalis and the Congress, the Centre raised the Minimum Support Price for paddy by Rs 40 for the Kharif season. But if the latest government report is any indication, not many farmers know who would benefit from this increase. That (terminating Hair) is not my wish, I hope we can find a way for him to continue. I would like Darrell Hair to continue umpiring in cricket matches at the top level. At least 48 persons were killed and 27 injured when a water tank collapsed at a village fair in Kama town of Rajasthan’s Bharatpur district, about 225 km from here, today. A Comair jet crashed today shortly after takeoff in Lexington, Kentucky, and all 50 persons on board were killed, according to preliminary reports, a Federal Aviation Administration spokeswoman said. In a stinging attack on Atal Bihari Vajpayee and L.K. Advani over the 1999 Kandahar hijack episode, former Jammu and Kashmir Chief Minister Farooq Abdullah has accused the then Prime Minister and Home Minister of compelling him to release Jaish-e-Mohammad founder Maulana Masood Azhar for which “world will pay the price”. NDA convener and former Janata Dal (United) president George Fernandes has no regrets of having given a deserving snub to his partymen by staying away from the two-day National Executive which concluded here today. Veteran film maker Hrishikesh Mukherjee, who made and directed several memorable movies, including “Anand” that launched Amitabh Bachchan on the path to superstardom, died here at a hospital here following protracted illness. He was 84.